“Though I repeat the Christmas story and sing Christmas carols, but have not love, I am like sounding brass or tinkling cymbals. If I receive many Christmas gifts and understand their monetary value, go to church on Christmas, believe in the mystery of His birth and the song the angels sang, but have not love, I am nothing. If I have the faith to battle Christmas crowds, but have not love, I am nothing. 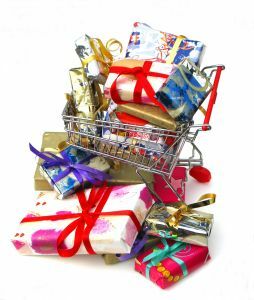 Even if I give Christmas presents to the poor—shop ‘til I drop for others, and I have not love, it profits me nothing. Love is patient and kind, even in Christmas traffic. It is never jealous or envious, even if others get nicer gifts. Love does not demand its own way and hardly notices when Uncle Joe eats too loudly, and Sister Sue doesn’t help with the dishes. Love bears all things in silence, believes all good things, and hopes under all circumstances, not just under the mistletoe. Love endures. Love never fails. Holly and mistletoe shall fail. Christmas carols shall cease and if there be any snow, it shall vanish away. But when He Who is Perfect comes, earthly celebrations will cease. When I was a child, I believed in Santa Claus. I thought of Christmas as a child. But when I became an adult, I put away my childish ideas and worshipped Jesus. Very well said. Thanks for sharing it! Love this. Thanks for posting. There’s a great book from about ten years ago called “Unplug the Christmas Machine” that I think you’d like. you can find it on amazon.